AAA is an organization, or rather a federation of motor clubs with so many benefits for its members. It has clubs in states and regions around the world, from the U.S. to the U.K.
You probably know that AAA members get access to free roadside assistance. When you ask people “is AAA worth it?” they all mention the roadside assistance program and that alone is worth the cost for them. But, what most people don’t realize is that there are far more AAA benefits than simple roadside assistance. From cheaper Disneyland tickets to battery replacement services, there are so many benefits to being a member of AAA, which most people aren’t even aware of. 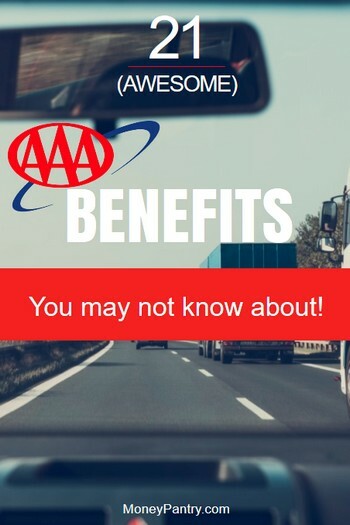 In this post, we’ve compiled a list of some of the best perks you get through AAA. So, if you’re on the fence about whether or not to join the largest motor organization in the world, then it will hopefully help you to make a decision. The AAA benefits you get will not only depend on the region you live in but also your membership level – sort of like how a Costco membership works. Each one costs more than the previous one. Obviously, a basic membership is the cheapest, but it also comes with the fewest benefits. Generally, all members, regardless of level, get access to the benefits below. If your car breaks down and it needs to be towed, then AAA has got you covered. The organization will get your vehicle towed for free, whenever you need it. The towing benefits you get depend on your membership level. So, if you have a basic membership, you get towing benefits for up to 5 miles, whereas if you’re at the Plus level you get up to 100 miles. Ever ran out of gas and found yourself stuck? Many of us have at one time or another! But if you’re part of AAA, you don’t have to worry about being stranded without fuel. The organization offers an emergency fuel delivery service. Basic members have to pay for the fuel that’s delivered, but still, it’s delivered to you for free, and it’s nice to know that if you’re ever stuck this service is available to you. If anything ever goes wrong with your vehicle and it needs repairing, then it’s good to know that as an AAA member, you can get 10% off! All you need to do is take your car to an AAA-approved repair shop and you get a discount. It’s definitely one of the best benefits of AAA membership. Sometimes, car batteries die and it’s usually at the worst possible time! If you’re part of AAA, however, it sends out someone to give the battery a jump. And, if your battery needs replacing, some AAA federations, depending on what state you’re in, will also sell you a new battery and exchange it for you right then and there. Locking yourself out of the car is easy to do and it’s incredibly frustrating when it happens. Another great perk of being in AAA is that you get access to a vehicle lockout service. An employee from the organization comes out to assist you in gaining access to your vehicle. But, if a locksmith is required, there are limitations, which are, like many other services from AAA, dependent on your membership level. Locksmith services up to a certain value are covered, usually between $50 to $60 for Classic/Basic members, but this can vary, so check your local association for specific rates. In some states, Premier members also get access to a home lockout service. This means that if you’re ever locked out of your house AAA can help you. Through the AAA Prescription Savings program, members get access to prescription drug discounts. According to AAA, members save an average of 24% on prescriptions. But the savings can go as high as %75 on prescriptions. You get a Prescription Savings card, which you can use at more than 52,000 pharmacies. You can use the card when your prescription is not covered by insurance. You might be glad to know that all AAA members get access to a free Hertz Gold Plus Membership. This can be really useful because renting cards get can pretty pricey. According to AAA, members get 20% off of car rentals. As we mentioned above, AAA has different membership levels, each with its own benefits. Below are AAA benefits that are only available to certain members, depending on your level. Some hotels offer discounts to members of the organization. Make sure you check out the discount page, which you can view here, to see what’s available. Also, if you’re looking to stay at a hotel, always ask them whether they offer an AAA discount before you book. If you’re part of AAA, you get access to identity theft protection services. It’s another handy perk of being a member. AAA generally offers travel protection to Premier members. With this service, if something happens during your trip that delays it, like an accident or severe weather, you are reimbursed. Generally, you’re covered for up to $1500 of eligible out of pocket expenses, like accommodation and a rental vehicle to continue your trip. Also, you get access to travel accident insurance. From old school paper maps to online travel planning tools, as a member, you get access to a plethora of free trip planning tools. With these tools, not only can you plan your route, but they also make finding gas, food, and accommodation, as well as restaurants and attractions much easier. They just make organizing a road trip much easier. You can even get updated fuel prices using AAA’s handy trip planning tools. Visiting the DMV is an experience that no one treasures. So, you’ll be glad to know that in some states, as an AAA member, you can complete some transactions and tasks that you’d normally have to visit the DMV for at AAA offices instead. This is because AAA is a licensed DMV representative. It’s much quicker! This is definitely a useful benefit of being part of AAA. Do you want to save money on eating out? According to a study conducted by Visa, the average American spends $1,043 per year in restaurants for lunch alone! And, in 2015, the amount Americans spent eating in restaurants and cafés surpassed grocery sales for the first time ever. So, you’ll be glad to know that if you’re part of AAA, you get access to discounts at a wide range of restaurants. For example, you could get 10% off at the Hard Rock Café or 33% off at Papa John’s. The discounts available and the restaurants they’re available at will vary depending on what state you live in. You can view some of the dining discounts available on this AAA discounts page. And, if you happen to be dining out, it doesn’t hurt to ask the waiter if the restaurant offers any discounts to AAA members. According to the Bureau of Labor Statistics, the average family in the United States spends $1,700 on clothes each year. That’s a fairly lofty number. One of the great perks of being a AAA member is all of the retail discounts you get access to. 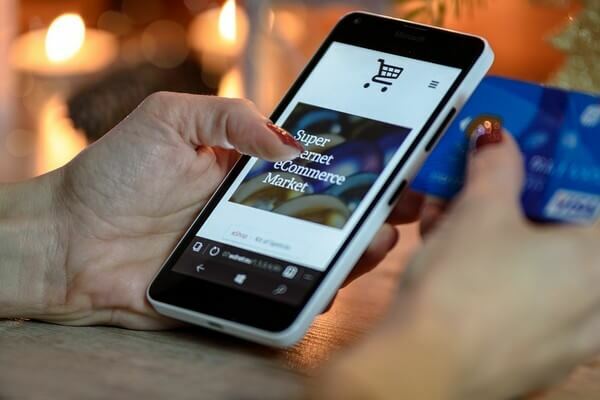 Not only do you save money on clothing from well-known stores, like American Apparel and Banana Republic, but also on a number of other items, from shoes to cosmetics. Through AAA, you can get discounts for popular stores, like Target, Sketchers, Macy’s and Calvin Klein. Take a look at the retail discounts on offer here. The movies, amusement parks, fairs – they’re all fun, but they can also be pretty pricey. Of course, there are ways to save at Disney World, and at other entertainment venues, like the movies, but it’s even better if you can get a discount. And, you’ll be glad to know that as an AAA member, you can get access to discounts for a plethora of entertainment venues, and amusement parks, like Disney World, Six Flags, and Cinemark. Check out what discounts are on offer here. As we mentioned above, you can get discounts on hotels if you’re part of AAA. But you can also get discounts on a ton of other travel services, like rail travel. If you want to see what travel discounts you can get, then visit this page, scroll down and take a look at the “Travel Services”, “Limited-Time Travel Offers” and “Vacations” tabs. As you can see, AAA offers a lot of travel benefits, from hotel discounts to travel protection services. As part of AAA, you get access to 24-hour global travel emergency assistance. This means that if you’re traveling at least 100 miles away from home, and you have an accident or any another emergency situation occurs you can call AAA and receive swift assistance. AAA will help you to deal with the situation by doing things like, providing information on the closest pharmacies or connecting you with emergency medical transportation providers. This service is only available to Premier members. Get access to discounted homeowners, auto, life, dental and rental insurance from AAA. Of course, you shouldn’t assume that AAA will offer the cheapest option when it comes to insurance, so make sure you shop around a bit first. Through AAA, you can get some electronics discounts as well. So, if you’re in the market for a new laptop or mobile device, this is a pretty handy benefit. For example, AAA members get a discount on HP products. If you’re a Sprint customer, then you could save money on your cell phone bill if you join AAA. According to Sprint, AAA customers could Save $5 per month per line. Well, as an AAA member you could save money on moving if you’re planning to rent a truck. You get access to a 12% to 20% discount from Penske. If you want to learn more about how much you could save on moving, then check out this page. Parking can be a pain sometimes, especially airport parking. Through AAA, you can sometimes get a discount on airport parking. How much does AAA membership cost? As we mentioned before, AAA is a group of motor clubs, so the cost and benefits of membership vary by region. A basic membership can cost you anywhere between $39 and $75 or more per year. On the other hand, higher membership levels can cost between $76 and $180 or more per year. You should definitely weigh up the cost versus the benefits of an AAA membership when deciding whether or not to join. Being an AAA member does come with a lot of benefits, which can end up paying for the initial cost of the membership. I read your previous post (is AAA worth it), then this one and – as a long-standing member of AAA I can honestly say it IS worth it. Here in Michigan, I pay $80.00 a year for a premium membership, which offers more benefits than the basic plan, such as towing services of over 100 miles (and to any location) and free entrance to state parks. There are a lot of great state parks and beautiful lakes in Michigan. I originally signed up with AAA for my auto insurance because I got a bulk discount through my credit union. Although the discount no longer applies, they are still the best auto coverage price in my area. Over the years, I have used my membership to get hundreds off hotels, car rentals, and restaraunts. I just saved about 50% off my eyeglasses at Lenscrafters and I am now looking into switching my cell phone to Affinity cellular. Back when I was on the Basic plan I still got nice discounts when I ate out. I jsut wish there were benefits with my grocery store. So, as a user of the service, I can honestly say it is worth it. Thank you very much for sharing your experience, Kat. Hearing from actual members makes it much easier for others to decide on it. Thank you.